Recycled concrete is an environmentally friendly product, made from demolished structures, construction waste and other sources of broken concrete. It is a cost effective alternative for stone base material. 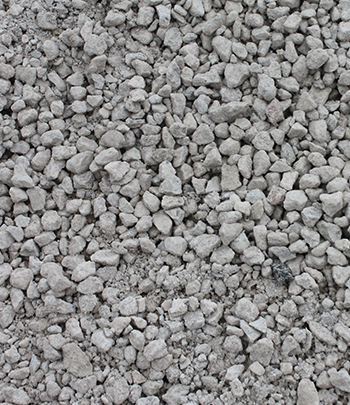 Dense Graded Aggregate (DGA) as it is also known, is very compactable, which makes it ideal for a base material under asphalt, concrete, paving stones, or stone driveways.